Third Street OB/GYN Offices is just off of South Trimble Road. If your heading south on Trimble Road from State Route 30 and turn right onto Marion Avenue it is just to the right. Tabatha has 2 children and loves spending time with her family and friends. In her free time she enjoys running, watching movies, and reading anything written by James Patterson. He is a firm believer in the sanctity of human life and brings a faith-based approach to the care of his patients. Ask anyone at Third Street OB/GYN and they will tell you how much he enjoys providing care to the women of our community. Dr. Alford has been married for 35 years and has a son and daughter and attends Berean Baptist Church. He is a certified scuba diver and enjoys hunting, shooting sports, and just about anything that can get him into the outdoors. Dr. Chambers enjoys horseback riding/ breeding and scuba diving. She has been married for 8 years to husband Jeff. Patti is married and has one daughter. She enjoys running, gardening, and spending time with her family. She is active in many community organizations and was awarded the Ashland County Women of Achievement Award in 2005. Patti serves as a volunteer at Ashland Christian Health Center, New Hope Community Church, Ashland Cancer Association, and Relay for Life. 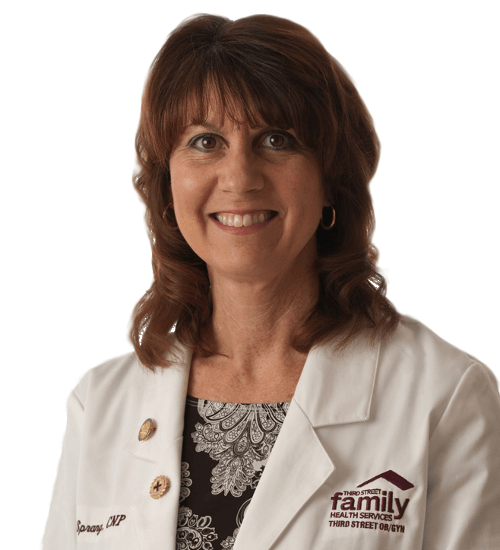 Dr. Zarczynski has been married to his wife Elaine since 1978 and has 2 daughters living in the Philadelphia and Milwaukee areas.